Piercing is one of the popular methods to gain the decoration through piercing some jewelries in their body. In ancient days, the piercing method is not much popular, but the entry of modern generation all the individuals desire to show some changes in their appearance. 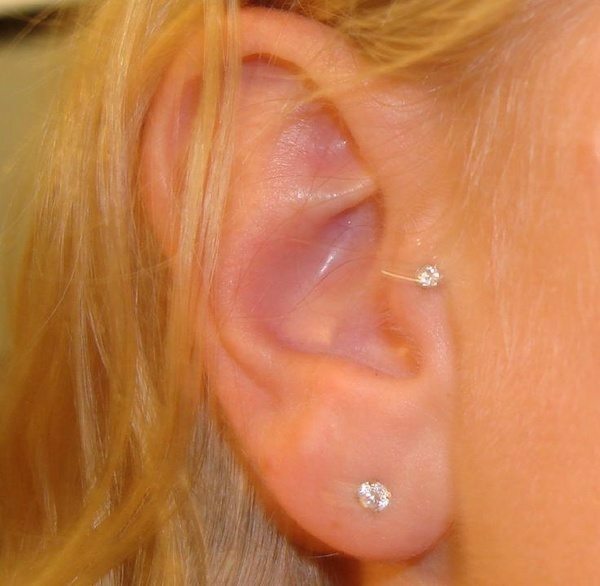 So the main reason for the popularity of this piercing in the modern days. 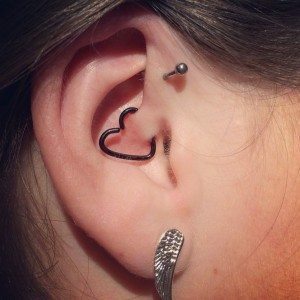 Daith piercing is also a unique type of piercing in the ear part. 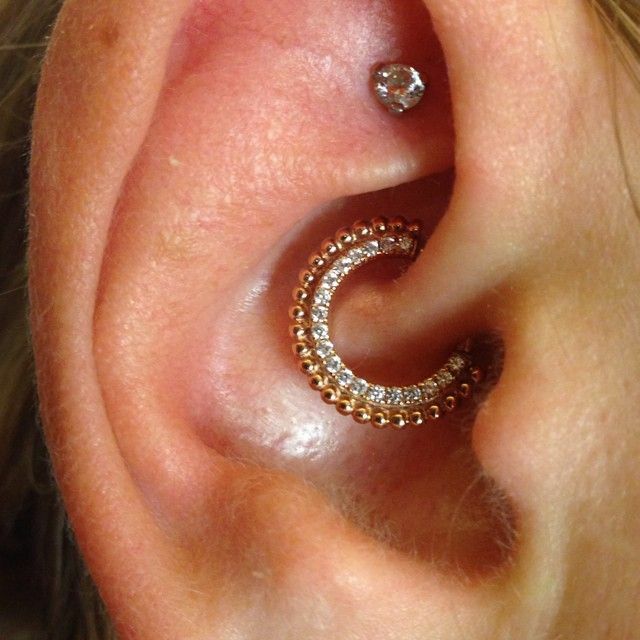 This type of daith piercing is achieved in the inner cartilage portion of the ear. 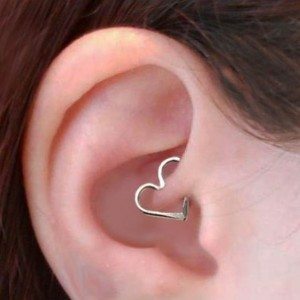 The daith piercing is commonly offered in all the parlors provided by the professional piercer. 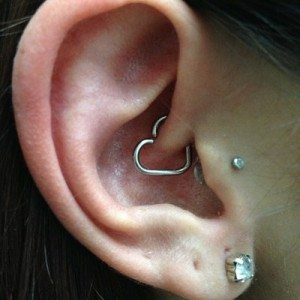 If you, the individual need this prominent and unique style of daith piercing, you have to make sure while choosing the piercer to this piercing type. 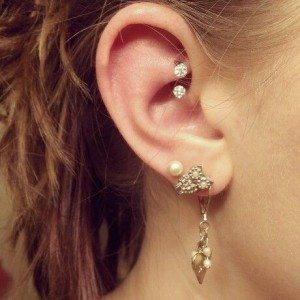 Some piercer didn’t familiar with this type so, you have to choose the reliable and professional piercer to attain the attractive and modern fashion. The professionals are the only right person to do the piercing in the effective way. Choose the apt jewelry to avoid the discomfort and other disturbance to you. 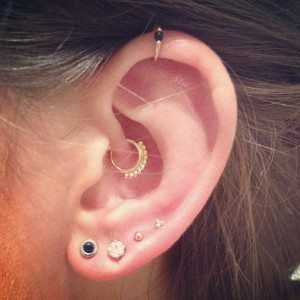 Most of the individuals failed to choose the apt jewelry to achieve the effective daith piercing. 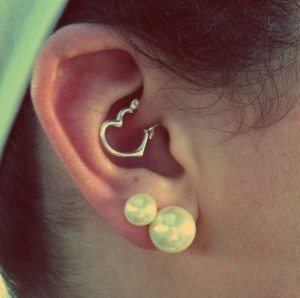 So, pick the quality jewelry and achieve the modern trend of daith piercing in your region. 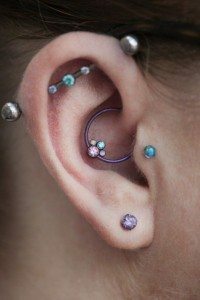 In a daith piercing, it has two types such as double and triple daith piercing. 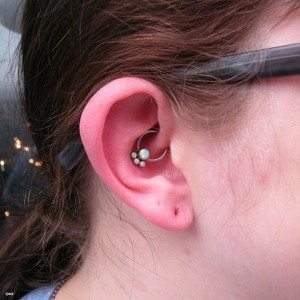 Double daith piercing: there’s no big difference in the two diath piercing types. 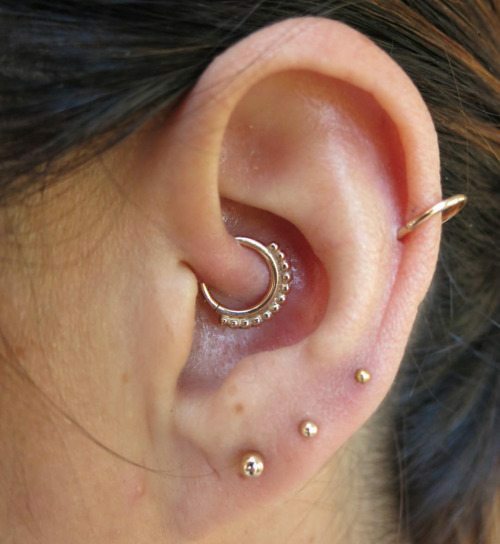 Only the perforation is dual in the double daith piercing. 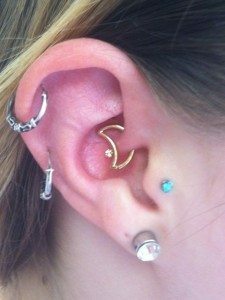 Triple daith piercing: this type of piercing has three perforations were made in the cartilage portion. It is almost risky to the pierced individual to care the region from any disturbance from others. This daith piercing didn’t take much time to finish the piercing process. 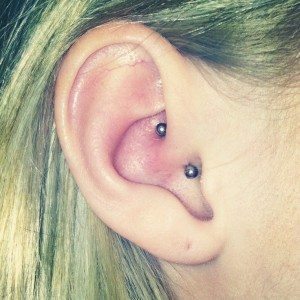 If you choose the professional individual you didn’t worry about the piercing because they will handle the piercing in the quick and simple way. The main need of the professional piercer such as sterilized needle and your chosen jewelry. The professional piercers initially clean your ear exterior portion with the use of anti-bacterial solution before commencing this daith piercing for you. The main reason to avoid any infection affects you after the completion of piercing type. Then, the professional takes certain duration to sterilize the needle. Then, the piercer marks the exact location over the cartilage portion on the ear. And you can also make sure the mark is right or not. Now, the piercer pressure the sterilized needle to make a perforation on the marked location. At the beginning, the pain is slightly extreme and it’s gone in the short period. Then, they will insert your selected jewelry in the new perforation way. If you need one more jewelry you can easily make it. Some individual gets the blood while the piercing is done. If you interested in exploring more about piercing, then we have a post dedicated to eyebrow piercing. Read and give us your precious comment. 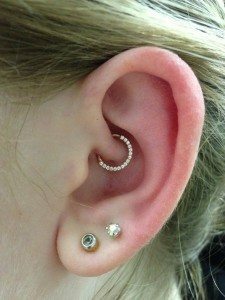 The pain is a common factor to all the individuals who achieve this daith piercing. And it may vary on the individual capability. 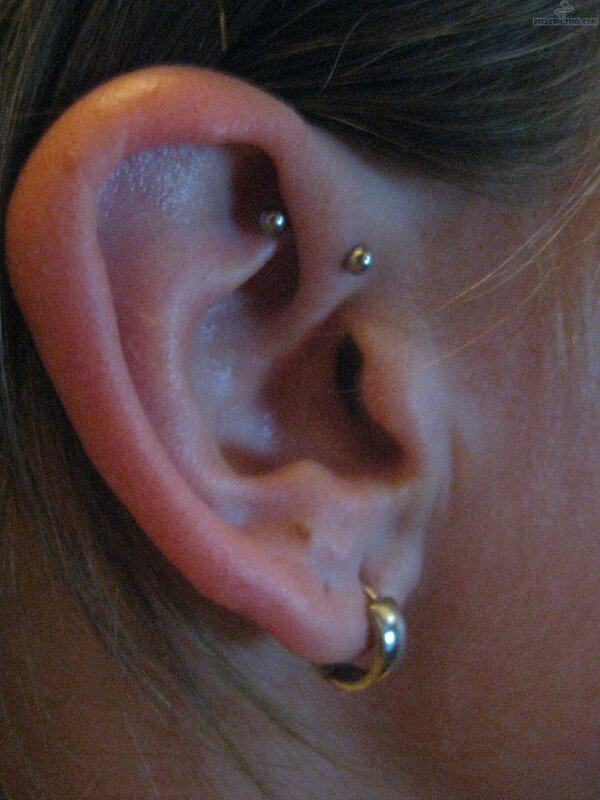 If the individual already experience in the piercing type; they can easily endure the pain. The selection of jewelry is more significant to reduce the pain. Most of the wrong selection of jewelry causes the individual excess pain while inserting the jewelry in the perforation. And it gave the discomfort and others after the piercing to the pierced individual. The jewelry is accessible in all ranges, design and cost. The desired individual can choose the stainless steel or other gold to avoid the infection. The costs differ through the quality of the jewelry. 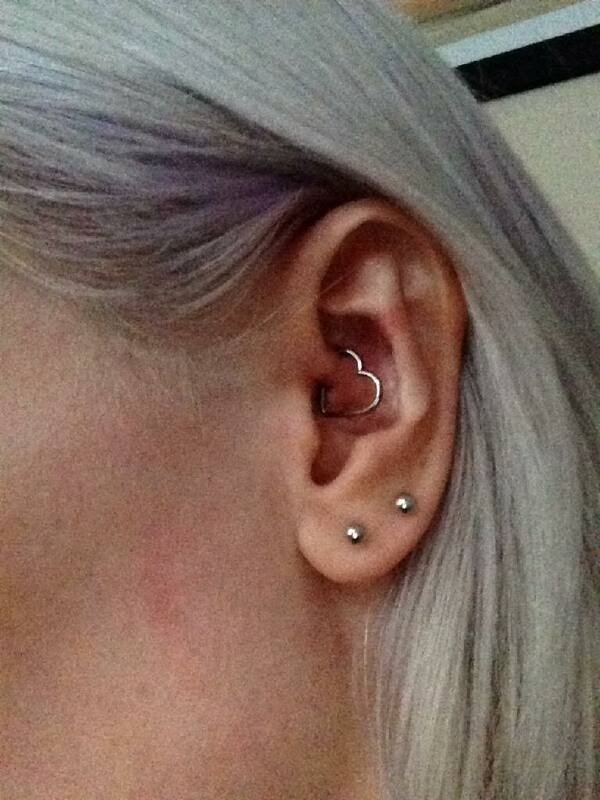 The possible infections of this daith piercing achieves swelling, redness, inflammation and extreme pain. If you feel these symptoms after the piercing you have to consult your doctor to get the right medication to heal quickly. Don’t try to touch or twist or pull the jewelry during the healing process. Never touch the pierced location without clean. You have to clean the pierced region through the use of anti-bacterial solution or soap. Make sure the regular cleaning process as twice in a day to avoid the infection. While you approach to the cleaning process, you have to take a cotton ball to rub the pierced region. Make sure your pierced location didn’t contact with any type of facial cream or other lotion in the place. And you have also to clean everything such as headset, earplug, or earmuffs. You can replace the pillow as you wish once or twice in a week. Take a fresh cotton ball and soaked in the salty water. Take a bowl of water and heat it for a minute and add a pinch of rock salt in the boiled water. And leave it to cool and now soak the cotton ball in this mixture. Then apply slowly and clean the entire region of the cartilage portion thoroughly. It is one of the best ways to prevent the cause of infection. 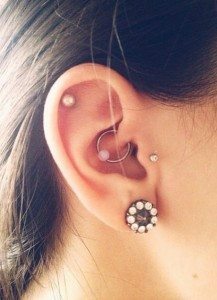 The healing duration of this daith piercing takes around 4 to 6 months. In the healing period, you have cautious to care your jewelry and check regular any symptoms of infection. There are various types of medications are accessible, but you have to consult with the personal doctor to get the right medication. The main aim of the medication to quick the healing process and avoid the infection occurs in the particular place. H2Ocean is the best spray to clean and reduce the possibility of infection and helps to reduce the healing process. It is completely includes the anti-bacterial property and other natural ingredients. Make sure to use this product to clean regular.